Today's card was made in multiples to thank customers (who have become friends) for stamping with me, supporting me and loving the same creative process that I do. So, this Statement of My Heart stamp is just that, a true sentiment of what I feel when I get to share what I love with others. One of the things I love about Stampin' Up! is that they have quality papers and inks that coordinate and I don't have to think about what goes together with what! This is so freeing and helps me be creative by using my time and resources wisely. It has helped me show others that same success when the creative process is not long-suffering, but easily accessed with coordination. Stampin' Up! does all the "work" of putting their products into suites so we can take off from there. I hope you enjoyed seeing what I created today and that you will come back soon! Please subscribe to my blog for updates as they occur. I'd love to read your comments if you have an extra moment to leave one. 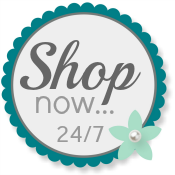 When you are ready to order your products, please use my Online Store.